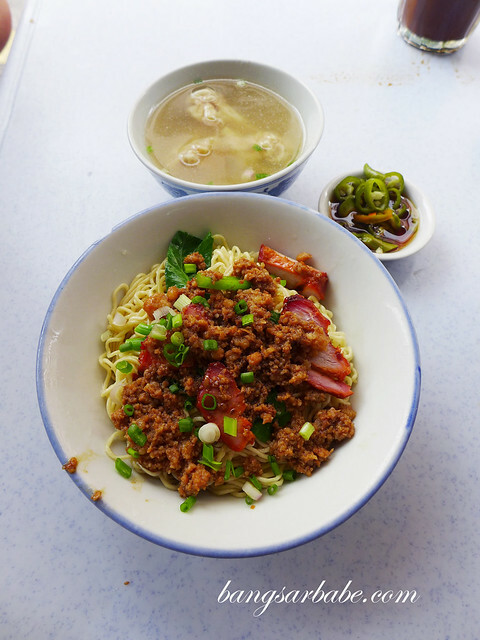 I’ve heard a lot of good things about Pudu hakka mee and even rif insists it’s the best version he’s had so far. 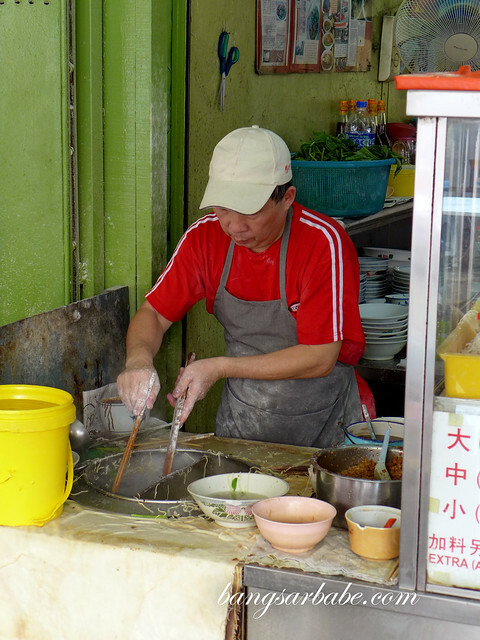 This stall has been around for more than eight decades, serving handmade hakka noodles to regulars. The place gets crowded during lunch time so expect to share a table with strangers. 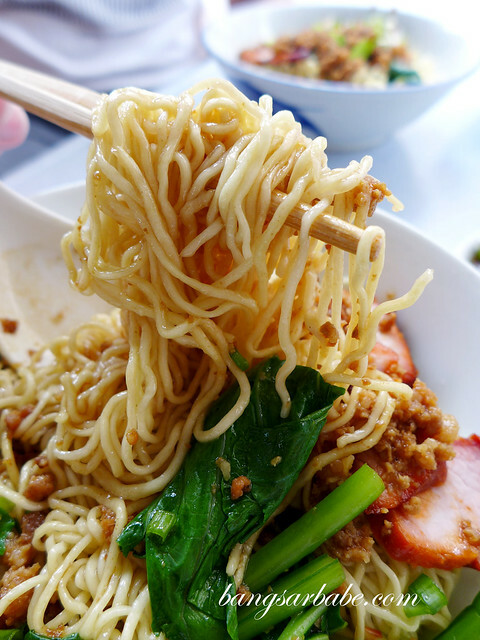 The noodles are made in-house and cooked to order. 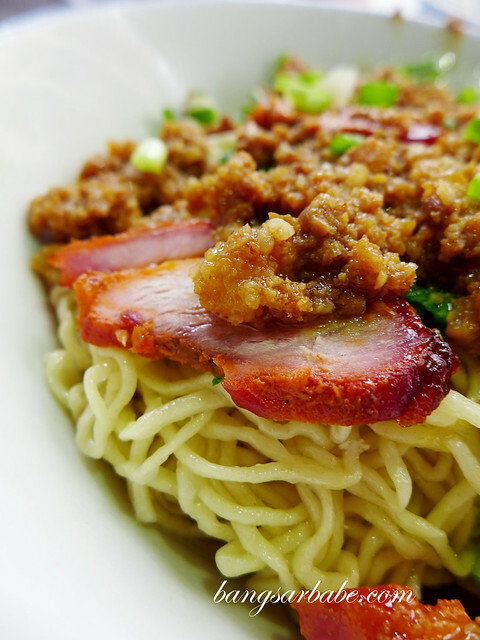 My large bowl of noodles (RM5.50) came topped with savoury minced pork, char siew slices and lard oil. 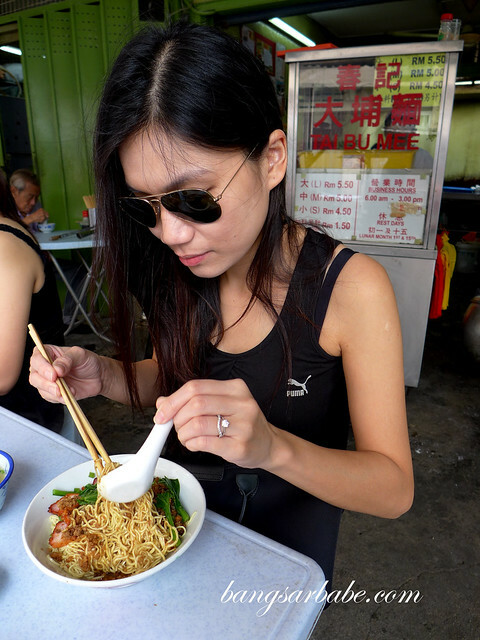 Unlike the usual flat noodles you get in Hakka mee, this one was springy, well lubricated and had no alkaline taste. Despite its pale colour, the noodles were incredibly tasty and aromatic – the best I’ve tried thus far, I have to agree with rif. 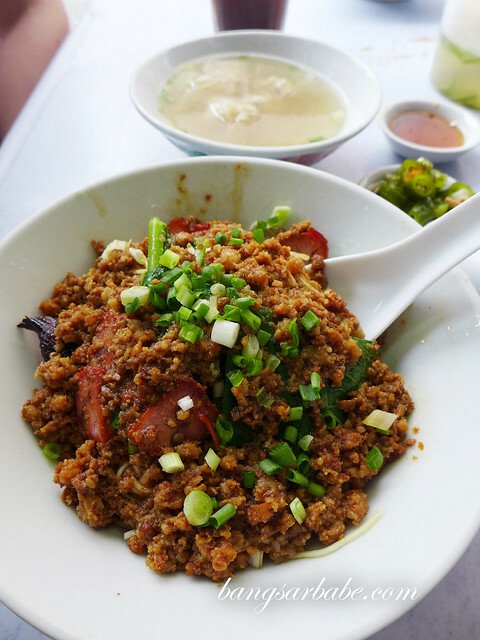 It’s best to ask for extra liu (RM1.50 add on) as you’ll get more minced pork to go around. Especially if you’re ordering a large bowl. 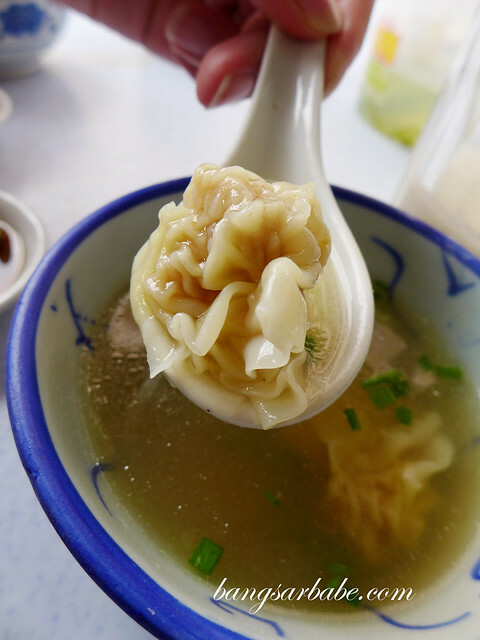 The wantan soup was also commendable; smooth morsels of pork dumplings in light pork broth accented with a slight dash of pepper and scallions. It was a good meal. 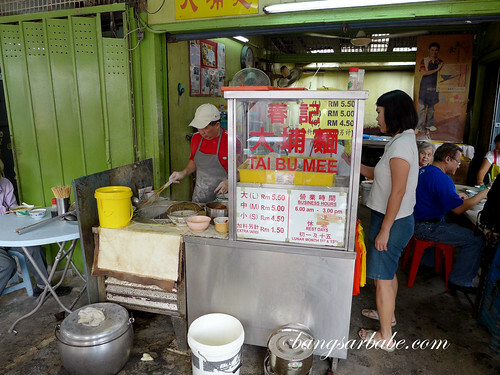 If you plan to visit this stall, it’s best to do so in the morning/lunch. They close at 2.30pm onwards so if you were to go later, only the stalls at Wai Sek Kai are open. 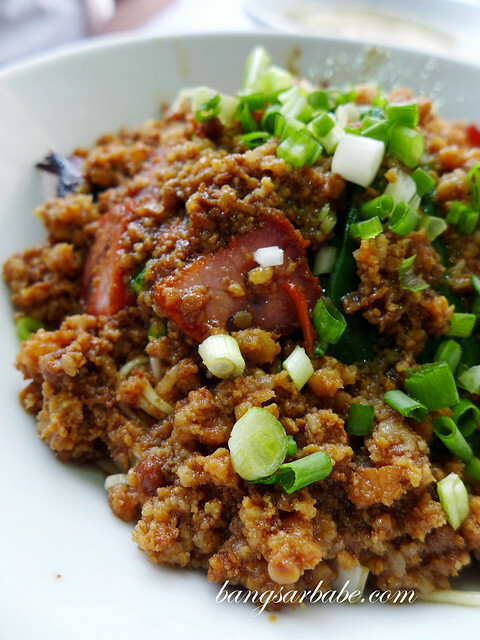 Verdict: If you love a good bowl of noodles, this is one to try! 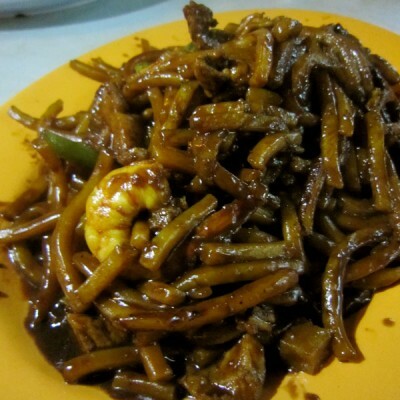 Yes, this is one of the food I always eat whenever I come here to buy electronics components for my course. 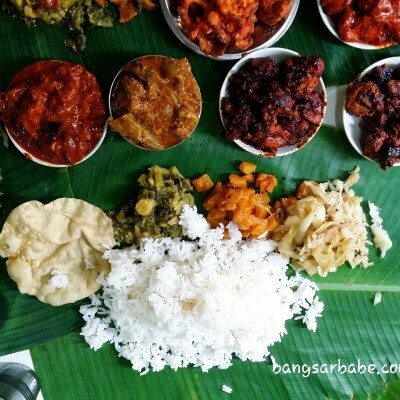 Do note that there’s a few chefs Manning this store and this uncle cook the best version by far. 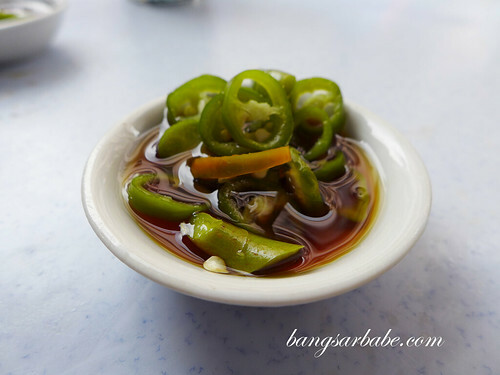 one of my semi regular breakfast places! Yup, 10am would be a good time to go.